Health & Safety Compute Ops Poster. 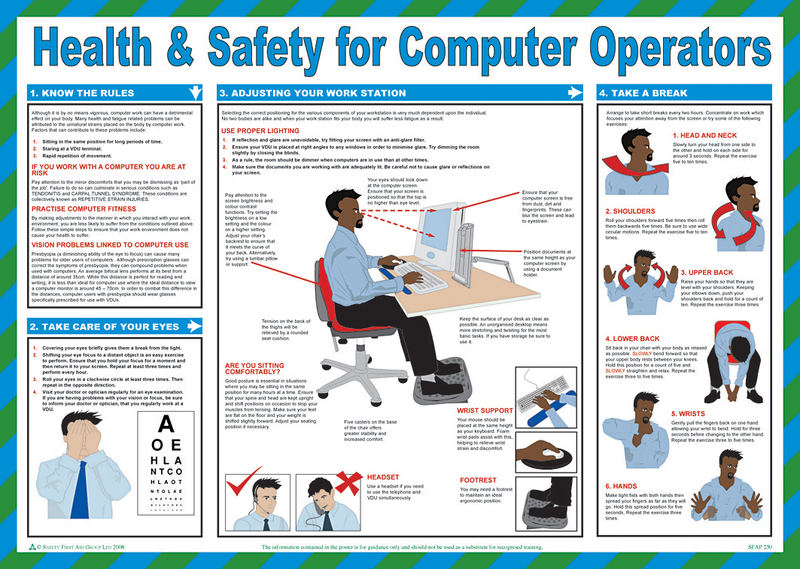 User-friendly text and clear instructions show employees how to take care of their eyes, adjust their work station correctly and to take regular breaks whilst operating their computers . Durable laminated construction with full colour illustrations. Compiled by qualified health & safety practitioners. Sign Text: Health & Safety Compute Ops Poster. Protect Your Employees And Avoid Costly Accidents.